Over the last decade business opportunities in India had intensified and elevated room rates occupancy levels in India. Even budget hotels are charging USD 250 per day. 'Hotel Industry in India' success story is only second to China in Asia Pacific. The World Travel and Tourism Council, says that India ranks 18th in business travel and will be among the top 5 very soon. India's big success stories includes the new model for development and growth; a model that is uniquely made. Indian Hotel Industry's room rates are most likely to rise 25% annually and occupancy to rise by 80%, over the next two years. 'Hotel Industry in India is gaining its competitiveness as a cost effective destination. The 'Hotel Industry' is likely to add about 60,000 quality rooms, currently in different stages of planning and development which would be ready by 2012. MNC Hotel Industry giants are initiating for Joint Ventures to earn their share of pie in the race. 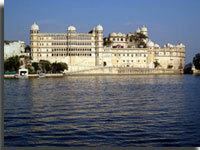 The Indian Government has approved 300 hotel projects, where half are for the luxury range. Analysts says that the manpower required by the hotel industry has increased from 7 million in 2002 to 15 million in 2010. More and more IT Professionals are moving into the Metro cities as the USD 23 billion software services sector pushing into the Indian economy. Indian Hotel Industry is set up to grow by 15% a year. In 2010 as the Delhi capital city of India hosted the Commonwealth Games there were more than 50 international budget hotel chains moving into India. One of the major reasons for the increase in demand for hotel rooms in the country is due to the boom of information technology, telecom, retail and real estate. India's increasing stock market and new business opportunities are always been attractive foreign investors and corporate travelers to look for business opportunities in the country. From 167 countries, today India has finally made its mark on the world travel map. Indian Hotel Industry has supply of 110,000 rooms. According to the analysis of tourism ministry, 4.4 million tourists visited India last year and has risen to 10 million in 2010 - to accommodate 350 million domestic travelers. The Hotel Industry in India is at the verge of making 150,000 rooms fueling hotel room rates across India. There is tremendous opportunity for India as a destination for hotel chains looking for growth. These Hotels are equipped with world class infrastructural amenities, they offer the tourists with a fine lodging and dinning experience. They extend a warm welcome to the customers catering primarily to the upper class executives. These kinds of Hotels are like home away from home, they accommodate customers from upper middle and middle class. Mostly named as Economy Class Hotel, Business Hotels and Discount Hotels, the Budget Hotels supports the modern infrastructural facilities for a comfortable and pleasant stay. 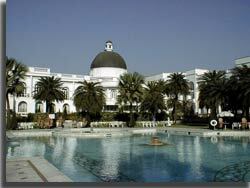 Resort hotels in India are mostly found in hill stations and sea side tourist destinations. These are located amidst natural scenic beauty, they are the ideal place to enjoy some valuable time with family and friends or in solitude. Indian Hotel Industry has been booming business and has also given a boast to tourism business in the country. Radisson Hotels India, Taj Group of Hotels, Park Group of Hotels and ITC Hotels are some of the known hotels in the hotel industry that are famous for unique amenities and superb accommodation arrangements. There are also the ITC Maurya Delhi, ITC Maratha Mumbai, and Fort Radisson of Radisson Group in Kolkata, Radisson Jass Hotel Shimla, The Taj Westend, Bangalore, Taj Coromandel, Chennai. The major cities like Bangalore, Hyderabad, Chennai, Gurgaon, Pune and the suburbs of Mumbai are the areas most attractive for the international investment and as expected these are the cities with the largest development pipelines. Combined these cities account for 89 of the 161 projects in the pipeline and 16,734 guestrooms, which is 68% of the rooms in India's total pipeline. Career's diversity of experience in hotel management is greater than in any other profession. The Hotel industry involves combination of various skills sets like management, food and beverage service, housekeeping, front office operation, sales and marketing, accounting. The rise in corporate activity today like travelling for business and even a holiday has made the hotel industry a very competitive one. Eligibility: One can pursue his/ her career in this field by direct entry or through hotel management institutes. For directly getting into the companies the vacancies are generally advertised in the newspapers and the minimum prescribed qualification is graduation with 50% marks. Indian Hotel Industry holds a special place in the international world of hospitality. India is culturally the country which would be very well having the most diverse places in the world. It serves as the vivid kaleidoscope of landscapes, magnificent historical sites and royal cities, misty mountain retreats, colorful people, rich cultures, and festivities. Luxurious, hot and cold, chaotic and tranquil, ancient and modern - India's soothing extremes rarely fail to leave a lasting impression. In India Hospitality is a long running tradition. Whether it might be the majestic Himalayas and the stark deserts of Rajasthan, or the beautiful beaches and lush tropical forests, to idyllic villages and bustling cities, Indian land offers unique opportunities for every individual preference. 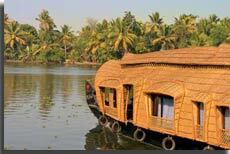 Today the accommodation options throughout India have become extremely diverse and unique from home stays and tribal huts to stunning heritage mansions and maharaja palaces. It could be From Kashmir to Kanyakumari, from Gujarat to Assam; there are different cultures, languages, life styles, and cuisines. This variety has reflected and increased by the many forms of accommodations, ranging from the simplicity of local guest houses to the government bungalows to the opulent luxury of royal palaces and five star deluxe hotel suites. In recent years the Indian government has taken several steps to boost travel & tourism which have benefited the hotel industry in the country. The initiatives by the Government include the abolishment of the inland air travel tax of 15% to 8%, reduction in excise duty on aviation turbine fuel and removal of a number of restrictions on outbound chartered flights, including those relating to frequency and size of aircraft. Indian Hotel Industry has the best staff for hotels unlike employees in East Asian hotels who are charming and gracious, Indian staff is also grooming themselves to take initiative and discretion of decisions on the spot. Most are better educated and speak better English than their East Asian counterparts. Indian hotel industry is to be proud of as it has much to be so. The real success story of the Indian Hotel Industry was due to the fact that it took on the global chains on its own terms and it won.